The Northern Carnarvon Basin, covering a surface of ~535 000 km2, is located on the North West Shelf and constitutes the most developed hydrocarbon province of Australia. The Barrow Group represents a deltaic to turbiditic depositional system of Berriasian - Valanginian age, with gas fields discovered in both shallow marine and basin-floor fan reservoirs. During the late syn-rift phase of basin extension, several very wide (> 100 km) deltas prograded to the north/northwest in the Exmouth and Barrow sub-basins as well as on the Exmouth Plateau. The deltaic and basin floor systems prograded over half-graben and were overlain by a thick transgressive shale that forms the regional seal. Step 1: constrain the 2nd to 3rd order sequence stratigraphic evolution of the deltaic system and investigate the control parameters on its development (structural control, eustatism, sediment supply). Regional 2D, 3D seismic and well data will be used to correlate the platform with the basin and to constrain the seismic stratigraphy of the system and its evolution through time and space. Step 2: conduct a detailed geomorphological reconstruction of the Barrow Deltas and their linked turbidite deposits through times. Merged 3D seismic volumes will be used and interpreted using advanced seismic stratigraphic methods (semi-automated horizon tracking, full-volume interpretation, stratal slicing, attribute analysis) and seismic geomorphology principles (Posamentier et al., 2007). Analysis of delta geomorphologies will help constraining the hydrodynamic controls along the paleo coastline and their evolution in space and time. We will use the WAVE’s hierarchized classification scheme to classify the seismic attribute data (Bourget et al., 2014). Step 3: select one or more key locations where detailed core logging and facies analysis (in combination with wireline logs) will be conducted in order to establish the lateral extent of facies associations/depositional environments, define key stratal surfaces and the stacking patterns of the Barrow deltas and turbidite deposits. 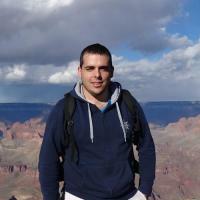 This work will also integrate all available biostratigraphic data. Reservoir sedimentology of the deltas will be classified using the WAVE scheme for the shallow marine depositional system (Ainsworth et al., 2011; Vakarelov and Ainsworth, 2013). Step 4: results from steps 2 & 3 will be integrated to develop detailed depositional models and paleogeographic maps summarizing the lateral and vertical distribution as well as the connectivity of reservoir sands along both the shelf and basin areas. Construction of geological (reservoir) models on PETREL software populated with the outcomes of the WAVE classification/prediction scenarios (Vakarelov and Ainsworth, 2013). A particular emphasis will be put on the relationships between hydrodynamic regime along the deltas and their linked basin-floor fans (e.g. Dixon et al., 2012). Step 5: test the stratigraphic and architectural hypothesis using 3D forward-modelling software (“LeCode©” in collaboration with T. Salles, CSIRO). Revision of depositional/stratigraphic models. Step 6: synthesize the impact of allogenic (tectonic control, eustatism, sediment supply) and autogenic controls (avulsion processes, lobe switching) on the observed sedimentary architecture through time, and evaluate their significance for reservoir development, for both the deltas and their linked turbidites. In order to characterize depositional environments and architectural elements of the deltaic reservoir intervals, the new process-based and architectural classification developed by the WAVE Consortium (Ainsworth et al., 2011; Vakarelov and Ainsworth, 2013) will be used to both core and seismic data. Therefore, this project will apply, for the first time, a unified terminology and classification of geophysical and sedimentological data (WAVE Classification). The application of this classification scheme to seismic attribute analysis (seismic geomorphology) will allow linking the seismic to the rock scale. These data will be combined in a computer-based predictive module (WAVE Knowledgebase; Vakarelov and Ainsworth, 2013) that will allow determining a range of possible depositional architecture scenarios. 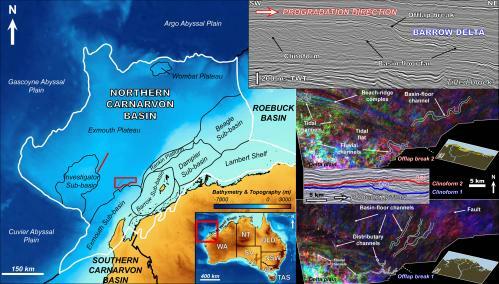 This research will focus on improving geological models for mixed-process shallow marine reservoirs from the North West Shelf of Australia and will provide a full characterization of the stratigraphic evolution of a linked delta - turbidite depositional system of Mesozoic age. It will use an integrated dataset in order to understand the relationships (in time and space) between deltaic processes (wave, tides, fluvial input) and basinward turbidite development and architecture. The comprehension of such depositional systems will aid in characterizing the stratigraphic architecture and will ultimately lead to significantly more robust geological (reservoir) models with reduced uncertainty. University International Stipend Top-Up Scholarship (UIS Top-Up Scholarship).